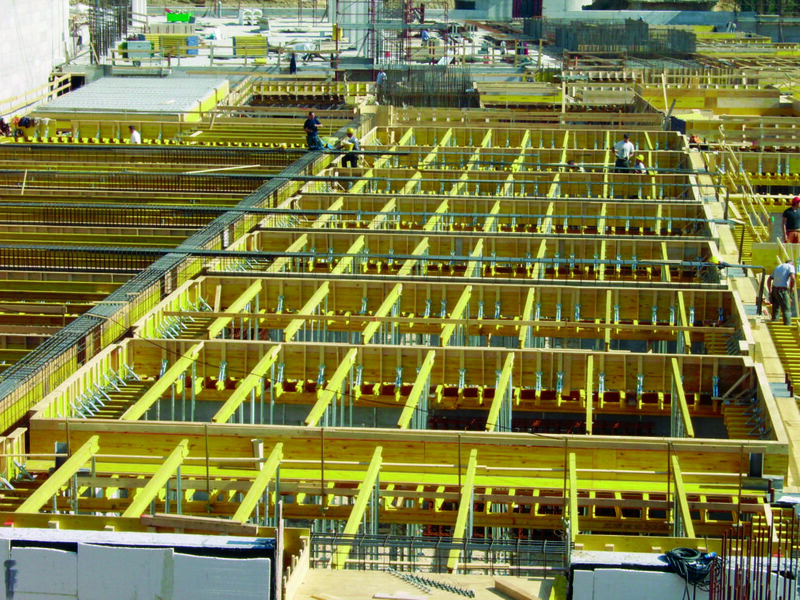 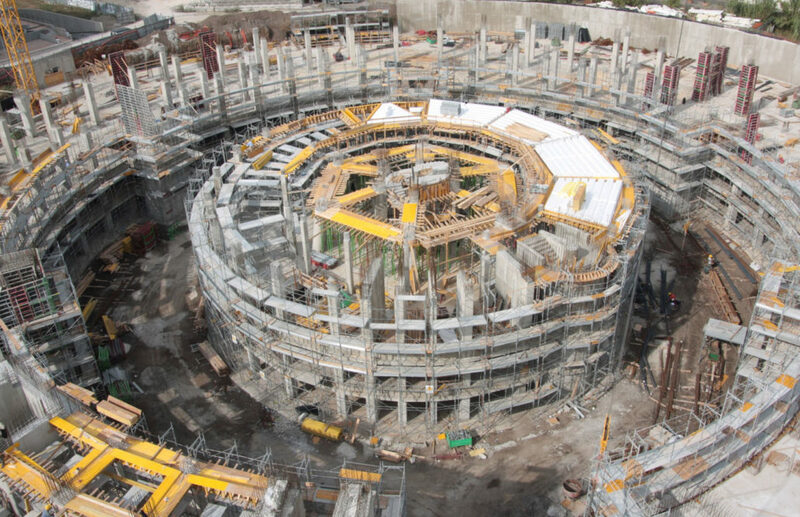 The Goliath system is the floor reinforcement method with yellow beams and shores. 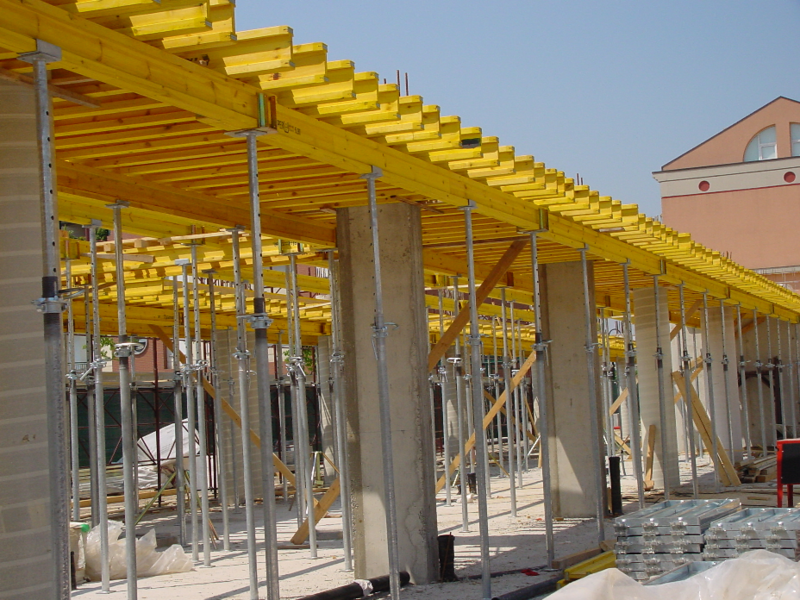 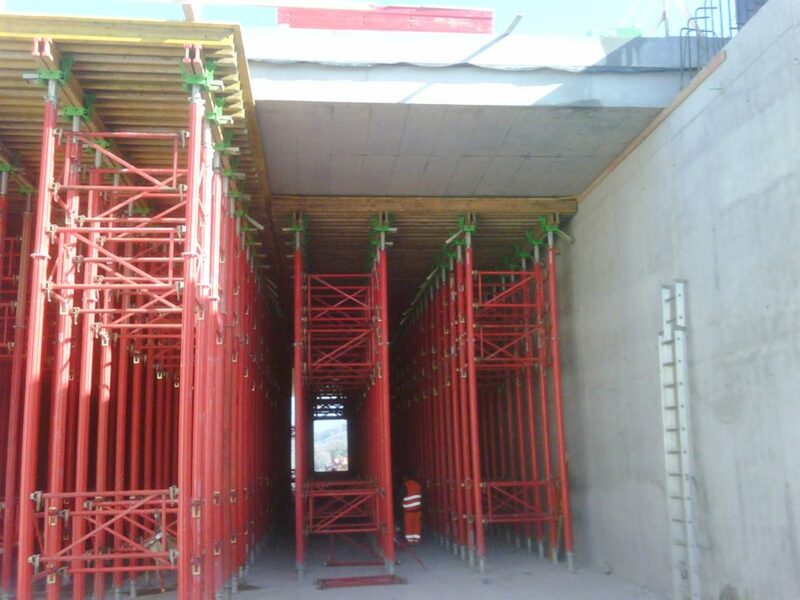 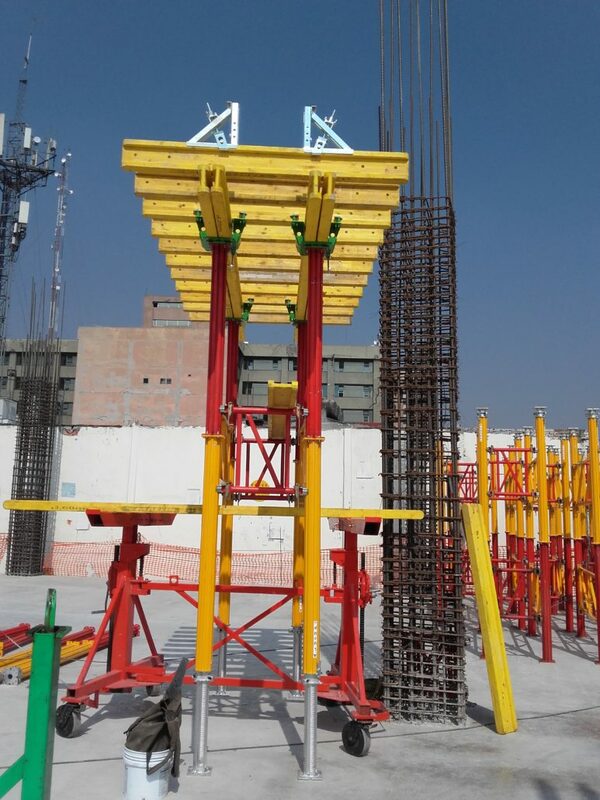 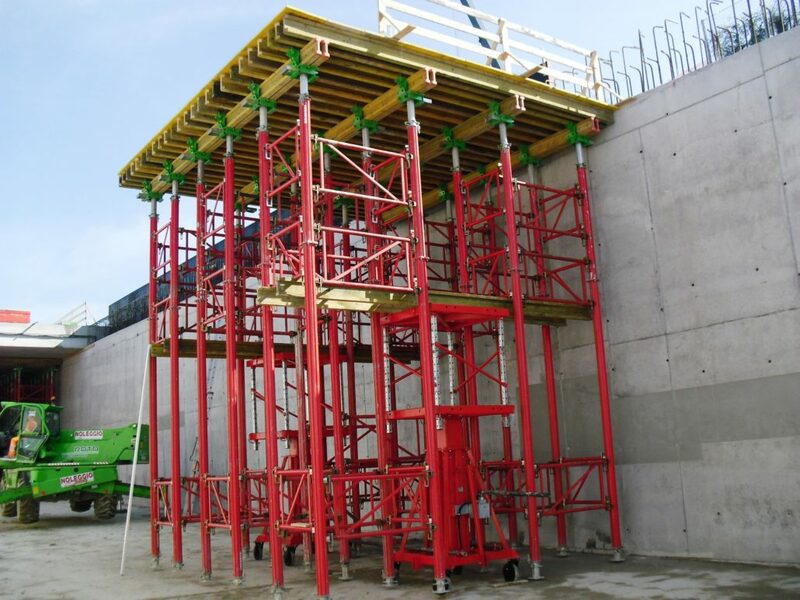 The system uses yellow wooden beams with 20-cm reinforced head, with different length: 590-490-390-290 cm, supported by shores through forks and head stops. 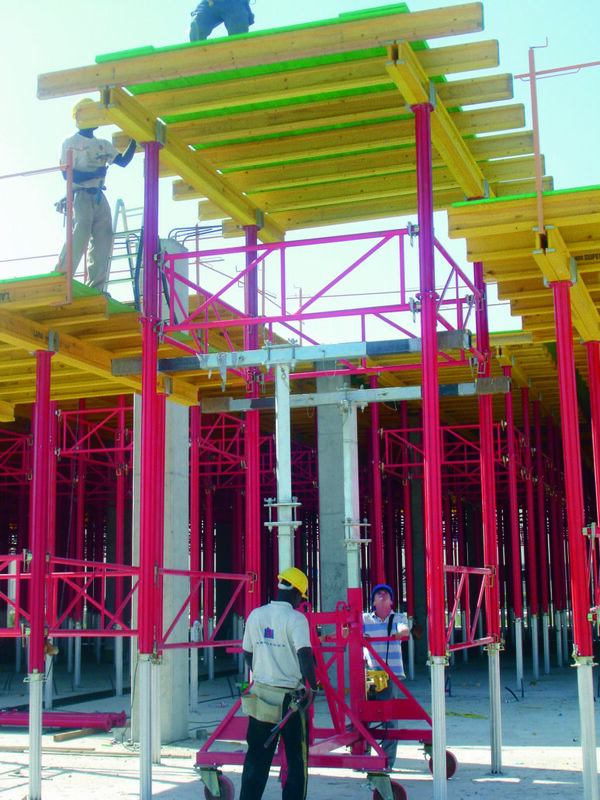 If shores are positioned on nonperfectly stable surfaces, tripods applied to the shores are used. 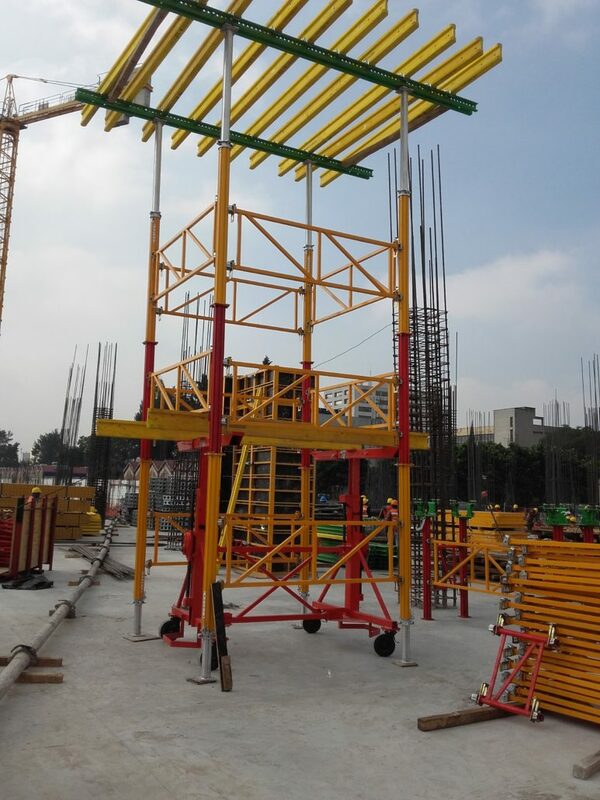 Used with simple or double scaffolding, it can support different types of floors with slabs, prefabricated joists and with solid casting.